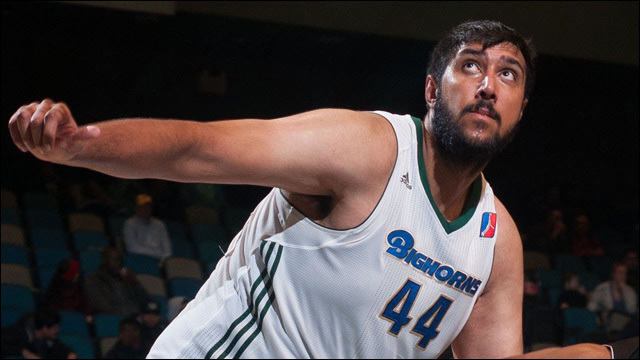 Probably too early to call it "Simsanity"... but in case you missed this one out of the NBA D-League: Sim Bhullar, the first player of Indian descent to sign with an NBA team, had himself one hell of a game over the weekend. As the biggest player in professional basketball, the dude is kind of hard not to notice. But during Sunday's game between the Reno Bighorns and the Los Angeles D-Fenders, the 7-foot-5 center turned heads by putting up a career-high 26 points, 17 rebounds and 11 blocks in 43 minutes, for his first career triple-double. Hailing from Toronto, Bhullar left a successful college career at New Mexico State for a shot at playing in the NBA. 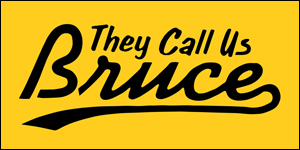 He wasn't picked in last summer draft, but was signed by the Sacramento Kings, and was part of the team's roster for the Summer League, training camp and pre-season. In November, he was sent down to the D-League, where he's played 24 games with the Bighorns. As I've said before, you cannot ignore a guy this big. With more hustle like this, the guy has the promise to really become the first person of Indian descent to play in the NBA. Simsanity, here we come.